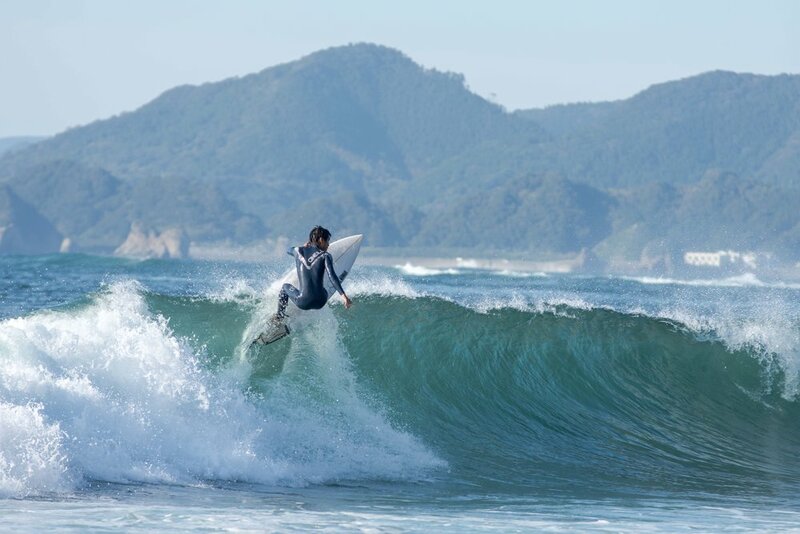 We operate out of Aoshima, Miyazaki offering Professional Surf Photography services to suit all levels and abilities. We are also available on request to shoot in various locations around Miyazaki prefecture. We offer basic hourly packages and full day Surf Shoots. Our Photographer specialises in Action Sports Photography but can be also booked for Local Events, Family portraits, etc..
but the most important role is played by a good photographer @mountainswell - a man with passion, visions and talent. When I was Posing to get great shoots I felt comfortable with him. His commitment to work create an interesting project reflecting the atmosphere and purpose of product. Local Surf photo sessions. If you have seen our photographer floating around this surf spot then please check our photos below. World Surf League woman’s qualifier series held in Hyuga, Miyazaki. ‘The Beach’ is a local Surf contest held at Kisakihama, Miyazaki. A great venue to experience the local vibe on this beautiful coastline of Kyushu, The event includes a free skate section for anyone to use, live music, food/retail stalls and plenty of good vibes. Stay Wild is a new up and coming Surf wear brand designed by Anna, a Professional Kite surfer from Poland. This shoot was done mid-winter on the West-coast of Japan in freezing conditions. We battled with strong winds and hail stones throughout the day, waiting for breaks in the weather.